Before and during the First World War the KAR and its predecessor regiments contained contingents of troops from Britain’s imperial Indian Army. The 5th (Uganda) Battalion claimed to be the senior KAR battalion because the Indian contingent of the Uganda Rifles was the first to be formed of the KAR’s predecessor regiments. 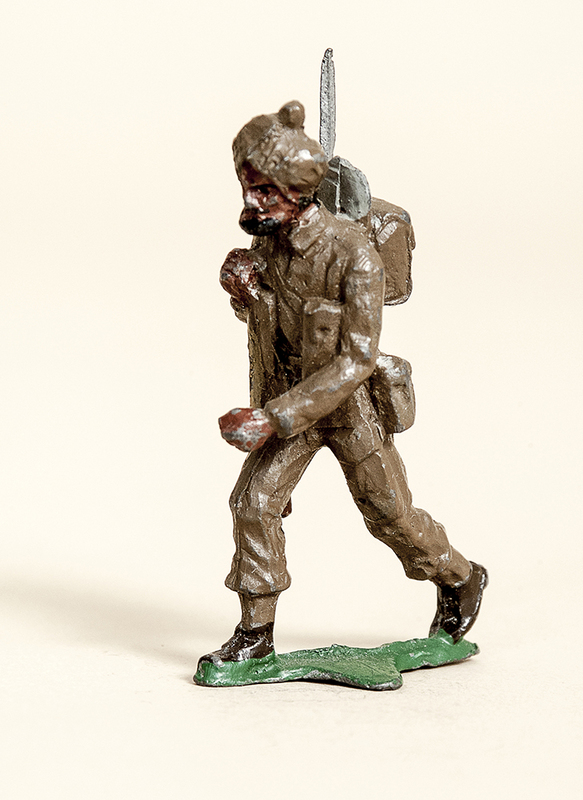 Indian soldiers have long been popular subjects for toy makers – and generic figures without the uniform details or equipment of specific regiments, like Comet’s marching Sikh or Authenticast’s superbly-modelled Indian soldier, could easily represent the early Indian contingents of the KAR. 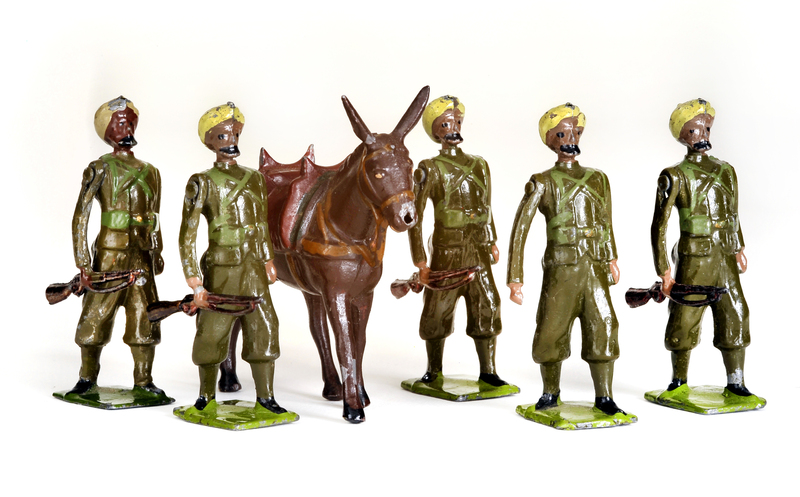 Britains’ Royal Indian Army Service Corps, below, would also be an authentic reinforcement for a KAR column marching on the Mad Mullah’s Dervishes or taking punitive action against tribesmen for cattle raiding in Kenya’s Northern Frontier District (now South Sudan) – although the white officer who came with this set would probably be out of place, because his metal helmet would have been unbearably hot in East Africa! 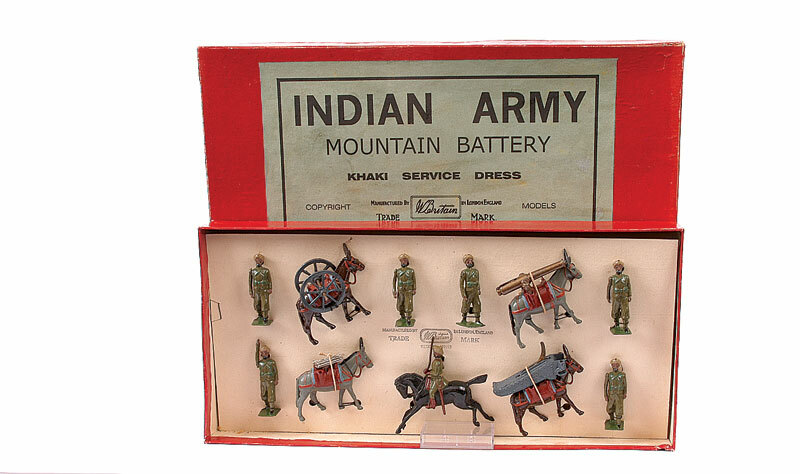 Britains’ Indian Army Mountain Battery, which used many of the same figures as the Service Corps but is much rarer, would also have seen action against the Mad Mullah. 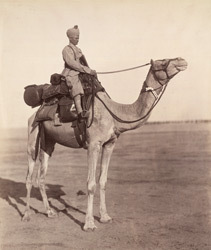 As well as Indian soldiers being in the King’s African Rifles, units from Britain’s imperial Indian Army and from India’s Princely States also fought alongside the KAR in their own right during both World Wars and the Mad Mullah campaign in Somaliland (modern Somalia), where Indian units provided camel cavalry, artillery and logistics support for the KAR infantry. One of the most well-known Indian units to fight alongside the KAR was the Bikanir Camel Corps, which was deployed to Somaliland between 1902 and 1904 to help suppress a major Dervish uprising. 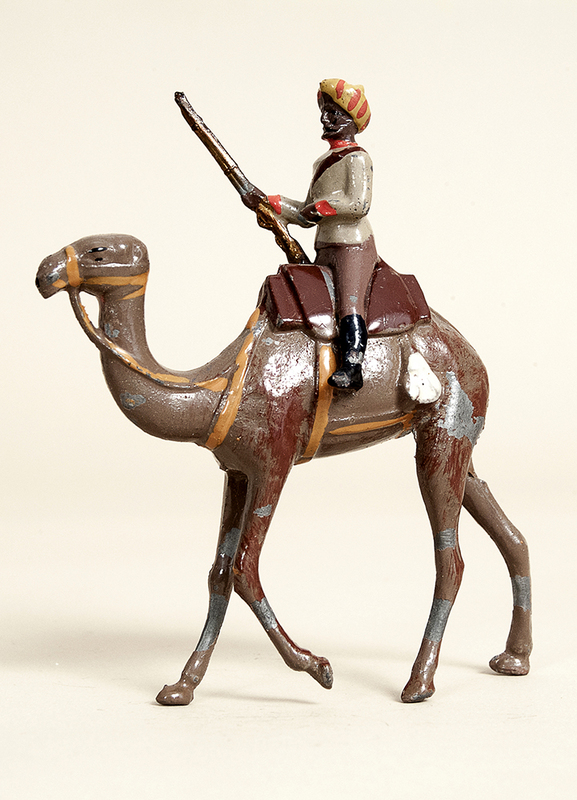 The usefulness of camels in the arid Somali hinterland led to the formation of the Somaliland Camel Corps as a separate regiment within the King’s African Rifles. This entry was posted in KAR History, Old Toy Soldiers by askari373. Bookmark the permalink.